What's this? 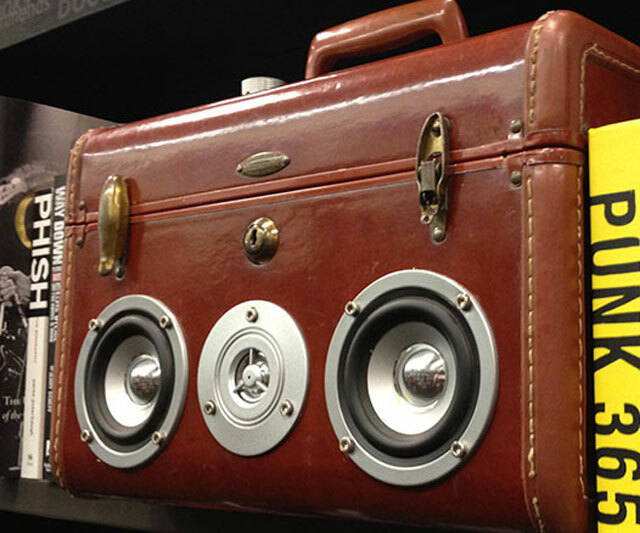 A circa 1968 suitcase and a set of Sony speakers turned into a portable stereo? Aw, Granny, good job! You made a ghetto blaster! And I thought our Merle Haggard Mondays and Tupac Tuesdays couldn't get any better. 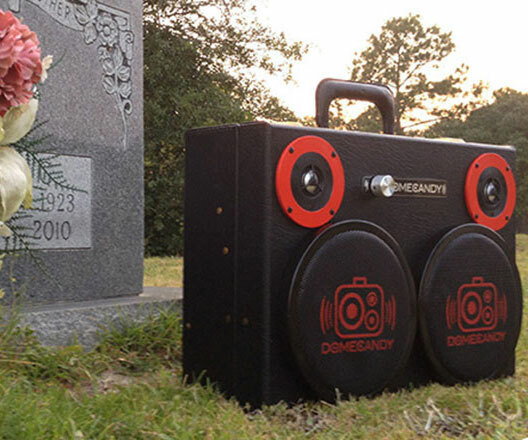 DomeCandy's handmade boomboxes began as a marriage between suitcases and sound systems, but have since evolved to include hollow storage devices of all kinds. 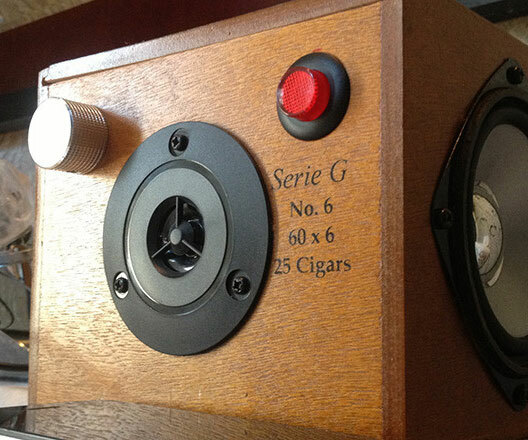 Guitar cases, briefcases, crates, cigar boxes, you name it, and they'll amp it up. Sometimes with a 100W Class D power model, sometimes with a 25W model less likely to wake the Richter scale, and more suitable for a tabletop. In fact, DomeCandy's ultimate vision isn't just to outfit music fanatics with one-of-a-kind boomboxes that deliver peak sound quality and withstand rocking out for more than a couple of years, but to equip them with the knowledge and creative outlet to design and build those boomboxes themselves. Though still a work in progress, DomeCandy hopes to have The Recipe ready for sharing over the next year. It will be a database of what they have learned about designing and creating boomboxes, with guidance for anyone with a DIY inclination to make their own, and a forum for spec sharing and discussion. DomeCandy currently operates as a retailer, but is working towards becoming an academic institution of sound. 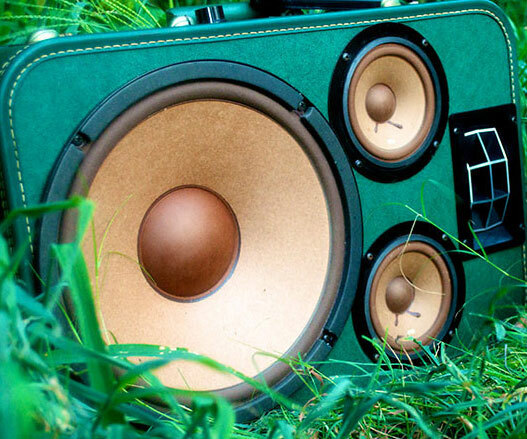 They say, "We don�t want to build and sell 600 boomboxes, we want 600,000 people to build their own." Until that goal is reached, though, you can still buy some pretty sick pre-made suitcase boomboxes from the DomeCandy lab. Pricing typically increases with stereo size and power output. All installed amps are Class D and batteries are rechargeable 12V sealed lead acid that last from 8 to 12 hours. Suitcases are stolen from luggage carousels 4, 5, and 6 at the Tampa International airport.